This weekend two of our Ambassadors, Aoife Murray and Mags D’Arcy, will be jetting to Ethiopia to see first-hand the difference Dream Bike can make. The girls have been working overtime this week to help publicise their visit. The next week promises to be a hugely exciting and rewarding experience for Aoife Murray and Mags D’Arcy as they jet out of Ireland with ChildFund staff on a field trip to Ethiopia. Its an opportunity for our Ambassadors to meet our partners on the ground, see our work in action, and get a sense of how initiatives like Dream Bike can materially improve the quality of life for girls and their families in developing countries. The visit also throws up an intriguing cultural and sporting opportunity, with our Ambassadors set to show their skills with the Hurl and Sliotar , introducing local girls to Camogie – a wonderful sport that has done so much for girls in communities right across Ireland. The Camogie Association is a grass roots organisation with its roots firmly planted in the local community. That is an ethos that resonates strongly with ChildFund. Our work in developing countries is about assisting children to thrive in their communities by supporting them, along with their families, to have better lives. Indeed this is one of the reasons why the Camogie Association chose ChildFund as its charity partner in 2015, and why we are so happy to partner with this great organisation. As we work together to help improve the lives of young girls in developing countries, so too we seek to demonstrate the very best qualities of this fantastic sport, as ably demonstrated by our four esteemed Ambassadors, who are superb role models for young girls. This last two weeks Mags and Aoife have been busy (very!) raising awareness about the forthcoming visit to Ethiopia, and explaining just why they are so passionate about the Dream Bike campaign. On April 1st and 2nd, Aoife and Mags manned an information stand at the Camogie Annual congress. 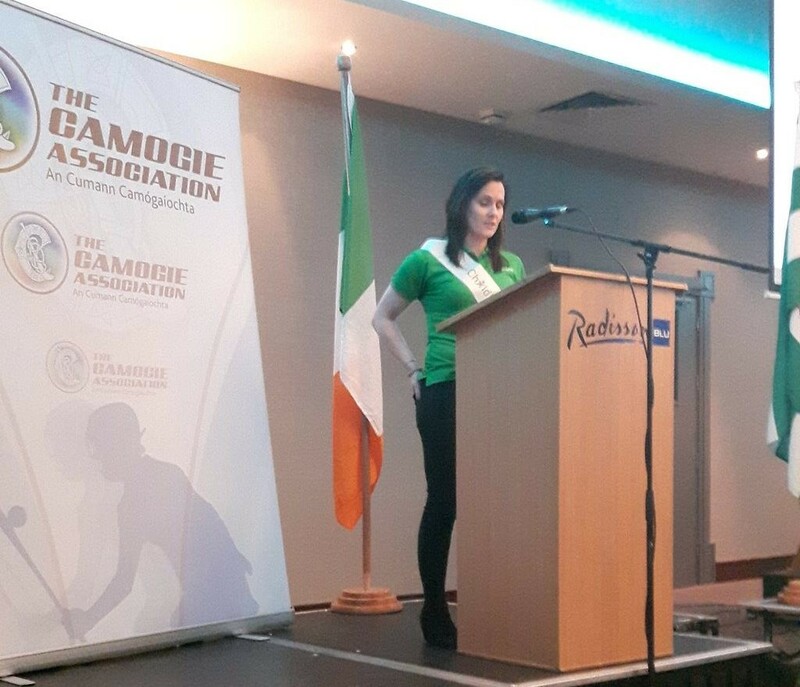 Aoife gave a powerful speech to delegates about the partnership between the Camogie Association and ChildFund, and to explain why Dream Bike is such a great cause to get involved in. 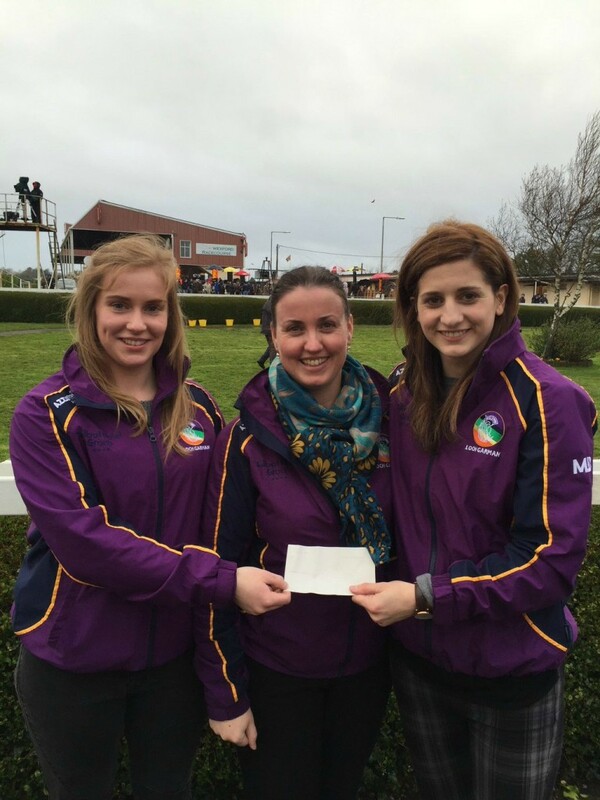 Last weekend Mags was busy fundraising for the campaign and creating awareness among the Wexford Camogie and GAA community who have been so supportive and positive. Yesterday Mags took part in a live interview with South East Radio in Wexford to talk about the Ethiopia trip and to educate listeners about Dream Bike. You can hear the full interview by clicking the link below. So its all systems go and full steam ahead for our Dream Bike initiative. We look forward to reporting back on what is sure to be an amazing and inspiring trip for Aoife and Mags in Ethiopia. Please get behind this great initiative to give vulnerable girls the help they need towards a better education and a better future. You can visit our dedicated campaign page and find out the various ways you can donate at the link below. Remember, every contribution big or small makes a difference to girls in need of our help.